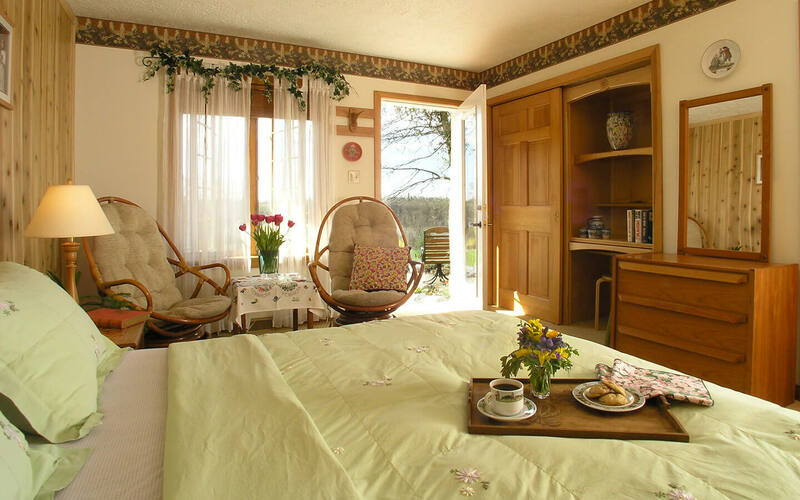 The Lugano Room at our Lititz, PA bed and breakfast features a queen sized Windsor bed in teak, and bentwood chairs. 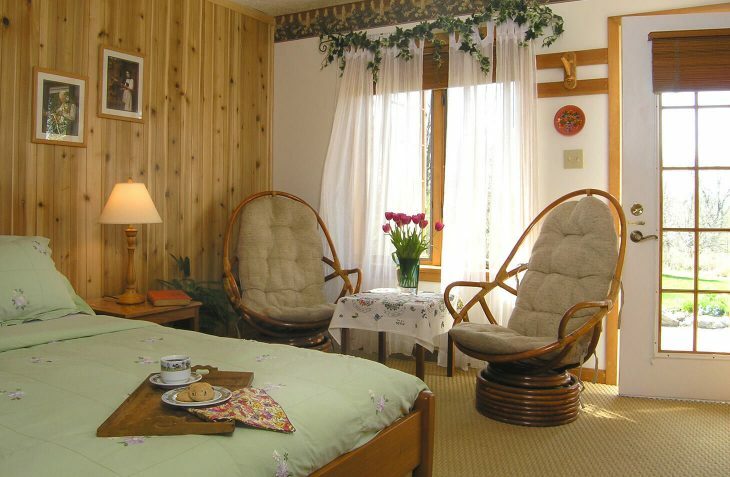 The décor includes knotty pine paneling and a garden border, and Swiss style woodcarving surrounds the built-in desk. This light and airy room faces south, and has been nick-named “The Garden Room,” perhaps because its French door opens onto a patio along the gardens. Sit and enjoy the birds and butterflies drawn to our garden feeders. 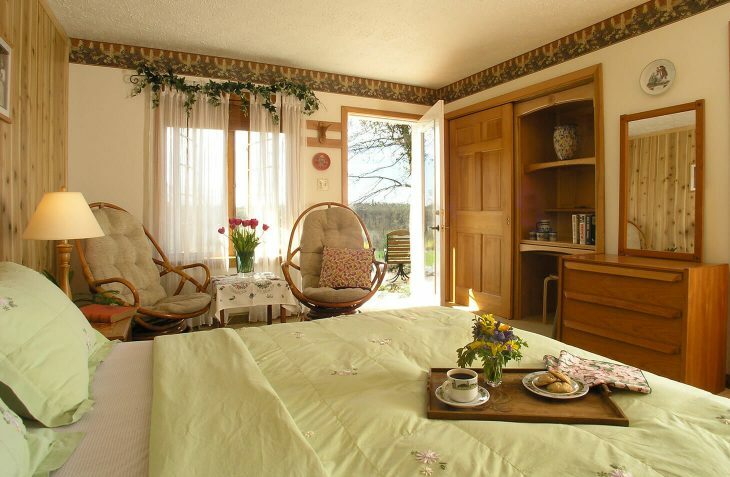 The décor of the full private bath also reminds you of the flower gardens.